EW Live will be returning to Estonia in 2019 and is already heading for the record books. Once again featuring live field and classroom demonstrations from over 20 companies as well as a new counter drone zone featuring live drone scenarios. 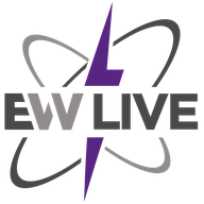 EW LIVE 2019 will emphasise the importance of sharing of electronic spectrum knowledge and operational experience in the context of the 21st Century Battlefield within a professional LIVE ambience of military operational and industrial technical excellence. The demonstrations will bring together military, operational and industrial technical excellence within a professional LIVE environment.